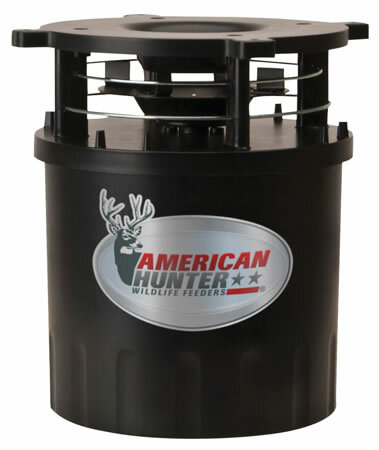 The R-Pro adjustable feeder has a built in varmint guard, fits most any container, weather proof housing, powder coated slinger, pre-wired for solar panel, and analog clock timer. It will feed 1 to 24 times per day. The feeding times are adjustable from 1 to 30 seconds per feed.